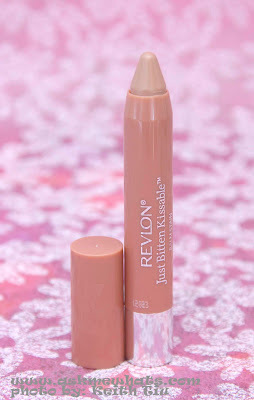 The first time I saw the cute Revlon Just Bitten Kissable Balm Stain was from my online Glamour Magazine last month! They reminded me so much of my favorite Clinique's Chubby Stick Moisturizing Lip Color Balm. Scroll down to check out the 4 shades I got! Revlon Just Bitten Kissable Balm Stain's Packaging is the exact color as the balm! 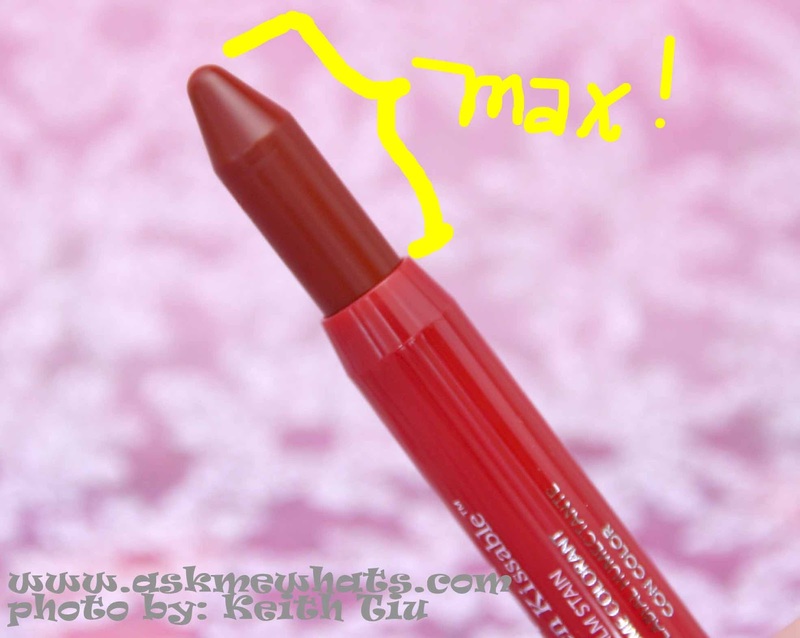 It’s a pampering balm fused with a lightweight lipstain in an adorable chubby crayon. Just Bitten Kissable Balm Stain gives softer, smoother lips with a perfect flush of color that lasts hour after hour. The gel formula comes in 12 vibrant shades that match any look or mood. Retractable! No sharpening needed and the tube is too cute! The darker shades are quite pigmented. 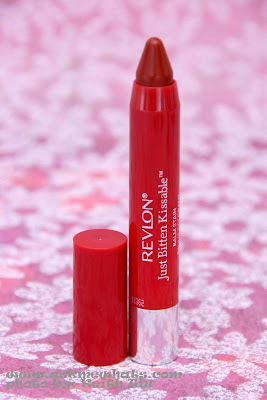 For a lip stain/balm, the product stays on your lips for at least half a day! Tiny hint of scent that doesn't bother me. The lighter shades may not show up as much as we want them to. Because re-application is addicting because of the moisturizing properties, I think I will finish up the product faster than most of my lipsticks! A lipbalm and lipstain in one! I love to bring this along for touch-ups even without an extra lip balm! If you prefer very subtle shades, pick the lighter shades. If you have dark pigmented lips like mine, keep in mind that the lighter shades may not show up. It works just like regular lip balm. 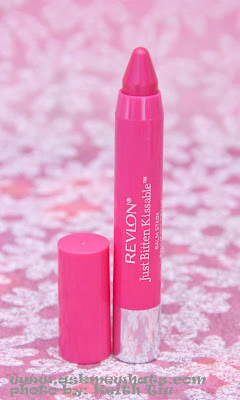 I tend to skip lip balm application because the product is moisturizing enough, I strongly suggest to still apply a good amount of lip balm and blot off excess before Revlon Just Bitten Kissable Balm Stain application. Yes! But definitely the more deeper shades. Anyone into lipsticks minus the drying factor. 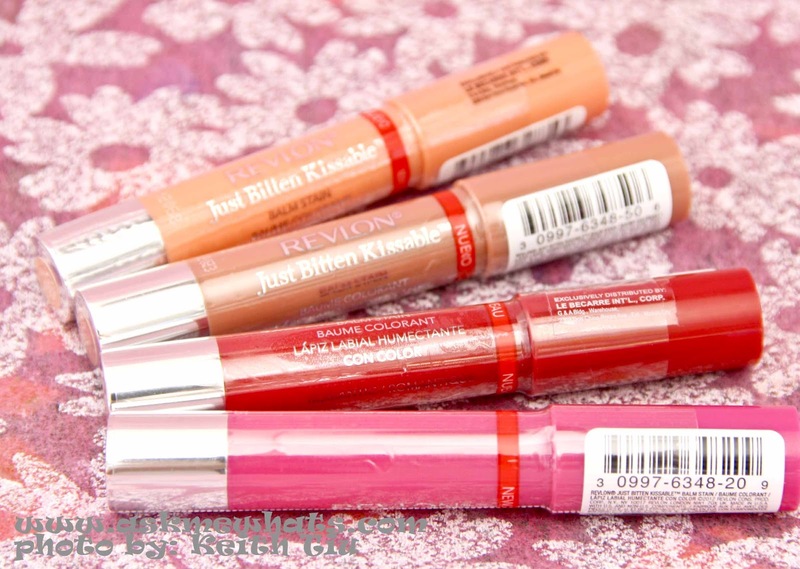 Local Revlon counters for Php575.00 (approx $13.70). 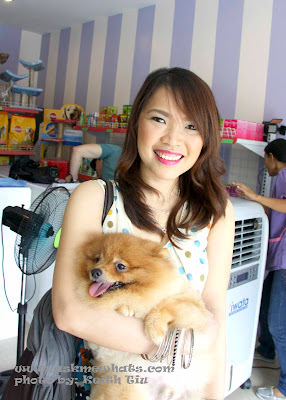 050 Precious has a creamier texture but still appears nothing in terms of color. 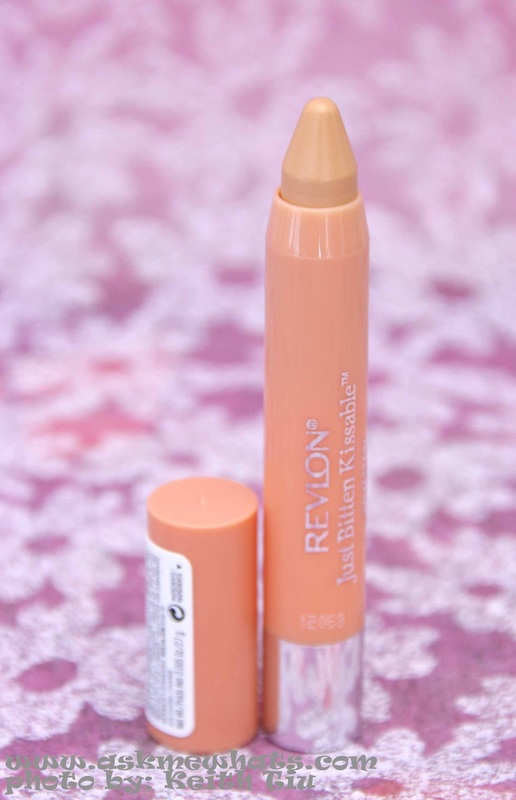 It helped made the color of my lips more even and I like to use this underneath a light colored lipstick. 020 Lovesick is a gorgeous hot pink shade that's moisturizing at the same time! 045 Romantic is great for girls who are just starting out on using red lipsticks! The red shade isn't too strong yet it gives a nice statement. 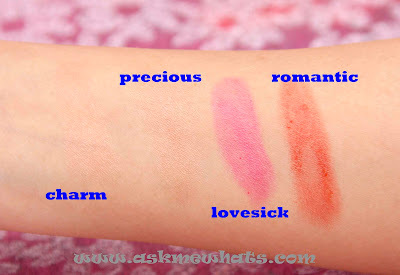 What's your favorite shade among the 4 that I swatched? I Googled Smitten, seems like a really nice color! Thanks Issa, I think Romantic is also nice, I try to wear it as much too! :) Which shade caught your attention sis? Does it chap lips after awhile? I am dying to get my hands on those lip balms! I already ordered online. Lovesick is so pretty! I love pencils like this, must try this one soon! Oh wow..I'm not a marketing expert but for me, all you need to do for now is to understand and know the products you sell by heart. You have to use it and be able to believe in the product to be able to sell it :) Goodluck! from what mall/revlon counter did you buy your kissables? tnx! Hey Nikki! 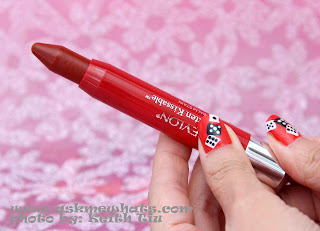 I got this in the Lovesick color as well! At first I was supposed to get the Smitten color but I tried it on my lips and it looked amazing when I first applied it, but as I went around SM to look at other brands, I noticed that it got darker and became a deeper purple-ish hue! So I went back and changed it to Lovesick at the last second! It's my first fuschia-colored lippie since I usually only stick to the reds but wanted to try something new this time! I plan on getting Sweetheart next cause it seems like it gives like a natural-ish pink glow on the lips which I've been wanting ever since I was a kid! Problem though is that I have a dark upper lip. As in, DARK. IT covers like 3/4 my upper lip and the lower lip is a shade lighter!! So I'm not sure if the lighter colors (and Sweetheart, for that matter!) will provide enough pigmentation to cover my dark upper lip! :( It looks gorgeous on all the hauls of girls from YouTube, but that's mainly because they're Caucasian and have pale, colorless lips that are more versatile to different colors!! Fingers crossed though!! :) What do you think? Hehe! Anyway, will try out the Sweetheart color and let you know how it goes! No problem, I super enjoy reading comments from readers at least I know I'm not talking to myself! hahahha :) Sure, update me once you get the Sweetheart! I plant o purchase more too! As I'm loving the pigmented shades and they are very moisturizing!